A hip guide to Barcelona fitness & wellness: outdoor sports, yoga studios, gyms and more activities for keeping your body and mind in shape. City crowds are rising almost faster than the thermometer. For those of us who love soaking up rays but hate competing for towel space, even the Costa Brava leaves a lot to be desired in peak season. 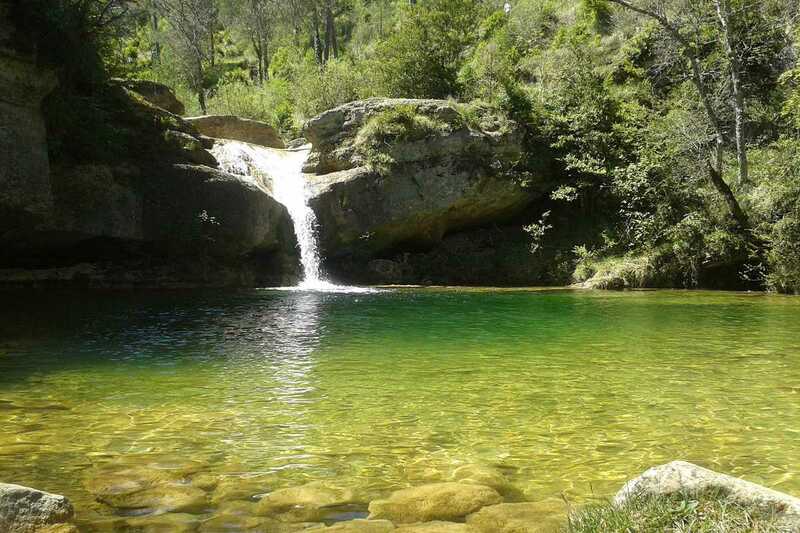 The rivers and waterfalls of Alta Garrotxa are one of Catalunya’s greatest hidden jewels. Icy fresh-water from the Pyrenees works wonders on the circulation, and nothing beats the adrenaline rush of flinging yourself off a waterfall from a great height. The Ruta dels 7 Gorgs (“Route of the 7 Pools”) is a 10km intermediate hiking trail just two hours from Barcelona, close to the town of Ripoll in the neighboring province of Girona. The brooding volcanic landscape of Alta Garrotxa is dotted with hundreds of hidden coves, caves and waterfalls. A car is usually essential but Facebook users have begun to organize shared trips. Look out for events in May and June.